It was a hectic week. A few days before our Board met, I travelled up to Pretoria to attend a meeting to mark the ending of Swedish development assistance to South Africa. The country (South Africa) is regarded as having ‘graduated’. This was a milestone; Sweden was originally engaged in the 1960s and remained involved through the anti-apartheid period. I hate getting up early to catch planes, and this trip would have meant a 4am start, so I went up the previous evening and stayed overnight. I need to pay more attention to my travel arrangements. I was booked into a hotel some distance from the one where the meeting was held. This lack of care was to be an issue later in the month. The evening before the Board meeting we had dinner at Olive and Oil, a restaurant close to the my flat in Glenwood. It is my favourite restaurant for ‘official’ functions where I am the host. The reason is that they are very efficient. My modus operandi is to order a starter for the table, a mezze platter; ensure that there are always bottles of red and white wine open, at least until everyone has finished their main course; make sure it is not a late night; and finally, and importantly, get a lift so I can have a drink without worrying. As I plan my departure from Durban it has been interesting to observe some significant closing of restaurants. The Famous Fish Café in the harbor closed its doors. Hemingways on Davenport Road is shut, the rumour is that the owner got bored with the hospitality business and is now growing lettuces for a living. Change is a constant. 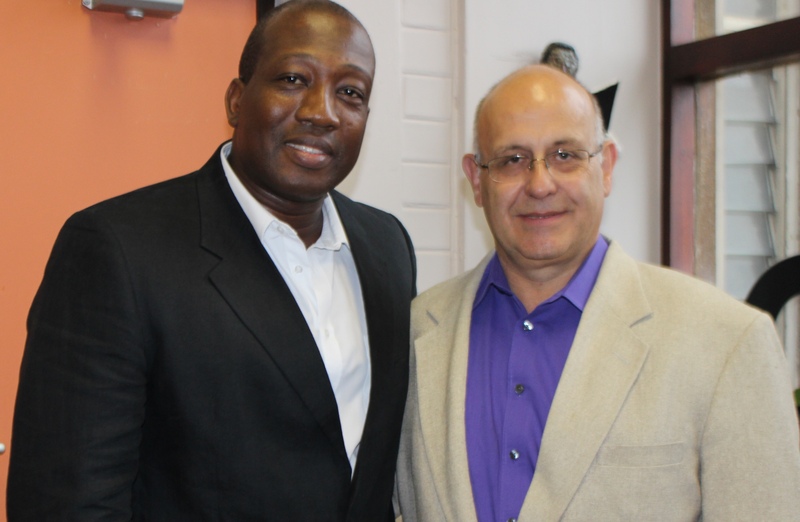 The incoming Director for HEARD is Professor Nana Poku and he was in Durban for the Board meeting and to meet staff. On the Friday evening I took Nana and Kelvin Storey the Board member from Kenya to Mookie Noodles, a simple establishment that is unpretentious and doing very well. We had rather limited time so on Saturday morning Nana and I went to the office for him to spend some time with staff. In the evening I bravely entertained him at my flat. This was actually very simple: it only involved buying Sushi, a dessert and keeping the wine flowing. So the week after the HEARD Board meeting, on Saturday, I filled my suitcase and was taken to King Shaka International Airport. This was when paying attention became an issue again. When I checked in I was asked if I wanted my luggage to go straight to London. Well my plan was to fly to Norwich, spend a night with the family and travel by train to London on Monday. Admittedly this plan had changed several times, but it had been my thinking. Heathrow to Norwich is 15 minutes on the Express to Paddington; at least 40 minutes on the tube to Liverpool Street Station; two hours on the train to Norwich; and finally 15 to 20 minutes to get home by car. If I fly to Norwich Airport I can walk from the terminal to the house in just 16 minutes. It is so much more convenient, although the connection through Amsterdam is not great. I knew I needed to change my ticket so I only checked my luggage as far as Johannesburg. This is the first time in ages that I have had baggage go missing. There were two of us standing forlornly at the SAA counter. My case was in the basement and appeared after half an hour, the other one had not even been loaded in Durban. The change was straight forward and only cost a few hundred rand. It turned out to be something of a mistake. The Met Office in the UK started issuing warnings about a major Atlantic storm on the Friday before I flew. It was projected to hit southern England in the early hours of Monday morning with high winds and heavy rain. Sure enough at about 6 am the wind picked up and there was a howling gale whipping the trees around for about four hours. And that put paid to rail travel on Monday, the lines were blocked with fallen trees. Plans to go down in the evening and have a leisurely start to the two day meeting were scuppered. Unfortunately the tracks were not cleared by Tuesday and I ended up having to take the train to Cambridge and then connect down to London. As this was the only route it was packed operational, I had to stand in a crowded carriage and the journey took nearly four hours. The AIDSpan meeting was held in the Open Society Foundation offices on the Embankment. Oddly I was booked into the same Hilton Hotel I stayed in for the Treatment as Prevention meeting a month or so earlier. It was a mere hundred metres from the office to the hotel. They have a well-equipped little gym which is a huge bonus. All the equipment (except the rowing machine – issues of focal length) have televisions and it is a great way to catch up with the news and a personal favourite, which seems to be on a continuous loop, The Antiques Roadshow. This Board dinner was held at a Thai restaurant on the edge of Soho. I took a cab there which was expensive and took a long time. The cab driver was the most depressing individual; he had never married, worked every evening, went home to a goldfish and a microwaved dinner, and thought the country was going to hell in a hand cart. He could have been lying. I was when I told him I was a consultant psychiatrist and would be happy to give him a referral! As it was a crisp but pleasant evening I decided to walk back to the hotel. This took about 35 minutes. It was fascinating to go from the bustle of Piccadilly Circus to the eerily deserted streets around St James park where there was almost a sense of danger. This walk was done without a map, quite an achievement! I leave Durban at the end of the year. If you have read this far and are going to be in the city on 20 November then please think about coming to my farewell party. Click here for the official invite. This entry was posted in Blog, Gallery and tagged Durban, HEARD, Johannesburg, Norwich, South Africa, South African Airways, UK. Bookmark the permalink.